Paid-to-blog writing sites allow writers to get paid for posting blogs that discreetly link advertisers' web sites to content in a writer's blog. Bloggers can receive anywhere from $2 to $20 and more to post blogs, and they can sometimes choose to post banner ads, which can bring between $.45-$.70 or more per click or per purchase, when given those opportunities. After joining a paid-to-blog site, you might expect to receive lots of blog requests, but opportunities in the beginning may be scarce. I was new to the whole paid-to-blog experience when I first joined Blogsvertise, because soon after I joined, I flew to California to visit my son and his family and didn't always have access to a computer. I missed some blog opportunities and thought I had forever ruined my chances of writing for Blogsvertise. Little by little, though, over several months, I built up my relationship and reputation with them, and the opportunities became more steady. Like any organization, Blogsvertise expects (and receives) professionalism, courtesy, and good writing skills (excellent grammar and spelling especially). Working for Blogsvertise has been a pleasure for me, but, like a baby who takes her first steps, I fell down a few times before I became comfortable with them. I didn't always understand what was expected of me. 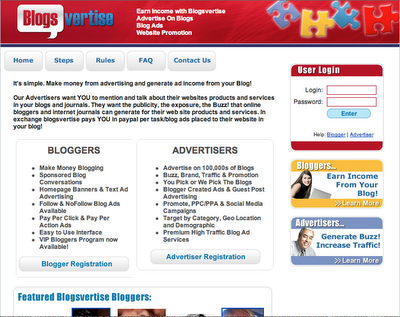 When I first joined Blogsvertise, I also joined another paid-to-blog site. Because I was new to both sites, I had to familiarize myself with each one, and it took time to understand their needs. When I had questions, I contacted the paid-to-blog sites for help. One paid-to-blog site, though it continues to this day to send me opportunities, never once responded to any of my queries. I still don't know how to properly post blogs for them. Blogsvertise, on the other hand, ALWAYS responded – and continues to respond – to my questions. In the early days, when I had trouble posting a blog, Blogsvertise staff walked me through the process until the post was up and running. I built my reputation as a trustworthy blogger by accepting as many blog opportunities as were presented to me. The pay might have been little in the beginning, but I chose to accept anything that came my way – IF I could figure out a way to seamlessly integrate into my blog the content requested of me. Though correct spelling and good grammar should go without saying, I must reiterate that both are VERY important. Blogsvertise expects their bloggers to present professional looking blogs and to use correct grammar and spelling. 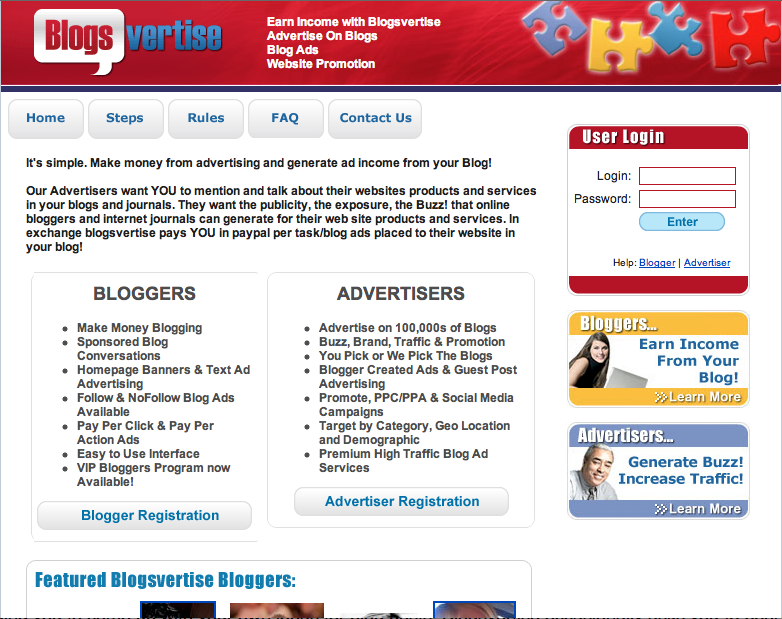 Bloggers may be working for themselves, but they are also working for Blogsvertise and its advertisers. If a blog is filled with incorrect grammar, misspelled words, lots of slang, and local colloquialisms, Blogsvertise may reject the blog. If you want to blog for Blogsvertise, be you, but be the professional you when you write blogs for Blogsvertise. Though most assignments are fairly simple to write, some assignments are challenging, because the topic of the blog might not relate to the type of blog the blogger writes. 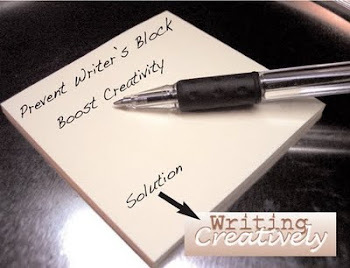 On those occasions, the blogger must rely on her own creativity to write a blog that flows smoothly while incorporating the advertiser's link(s). If, however, the advertiser asks for a blog about kayaks, and the blogger can't figure out how to incorporate his dog grooming blog with anything kayak related, the blogger should at least explain why he is refusing to write the blog. On the other hand, if the blogger decides to blog about a dog on a kayak – voilà– he's got himself a blog AND he gets paid to write it! Blogsvertise also includes "guest post" blogs where bloggers have only to copy and paste posts from assignments into their blogs. They can receive $10 to copy and paste a blog, but new Blogsvertise bloggers must first prove themselves as conscientious bloggers. When you join Blogsvertise, familiarize yourself with the guidelines and FOLLOW THE INSTRUCTIONS. Nothing screams amateur louder than someone who ignores instructions. I learned early the value of following instructions (click the link to find out how), and it served me well with Blogsvertise. Following instructions means that when an advertiser asks for only one link, provide one link and one link only. If the advertiser asks for two links and both links direct the reader to two different areas of their web site, provide both links and make sure the key words match the links the advertiser requests. 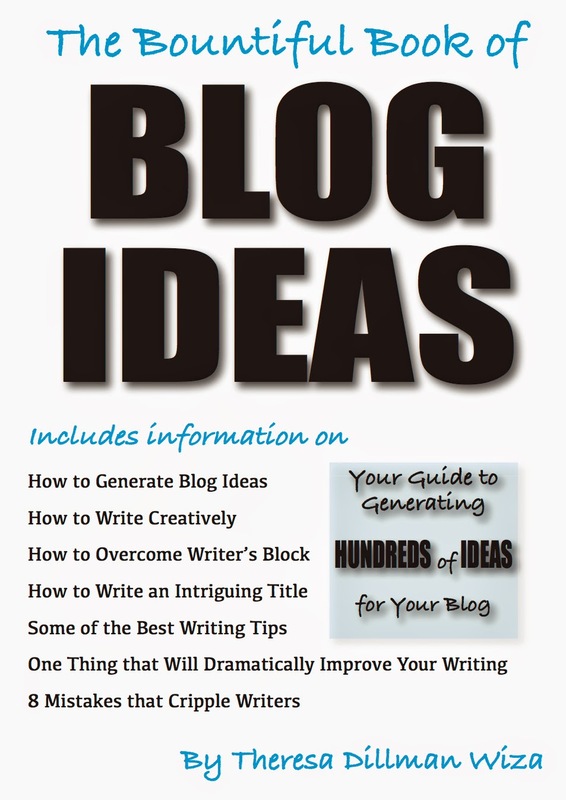 Fitting the subject matter seamlessly into your blog can be a challenge. You have to find something in your blog that relates to the advertiser's selected key words. You can't write about a childhood dream and then suddenly blurt out, "and the insurance on my mother's vehicle in Juneau, Alaska, suddenly appeared in my dream." You have to incorporate the advertiser's links within your blog so that it sounds natural – not forced. At times, the requested links will sound stiff and unnatural. Sometimes Blogsvertise will allow you to include another word to help the paragraph flow; sometimes it won't. Advertisers specify the exact wording they require in a blog. Blogsvertise and its bloggers must honor advertisers' requirements. If you are unsure about including an additional word, contact Blogsvertise. They'll let you know if that particular advertiser will allow an added word. For example, if you were asked to place "Camel Coats Nebraska" in your blog, you might find the text so completely unnatural sounding, you wouldn't be able to figure out a way to incorporate it smoothly into your blog. By adding the word, "in" to your blog, you could write Camel Coats in Nebraska and the blog would flow more naturally. But if the advertiser wants that exact wording, that wording is what you must use. If you can't figure out a way to use it, decline the opportunity and explain why you declined it. Sometimes Blogsvertise asks for "clickable links." Using the link I posted above, http://myheartblogstoyou.blogspot.com/2011/04/quiz-that-changed-my-thinking.html as an example, please note that the link, as it appears in this paragraph, is not clickable; it merely points you to the web address where the post resides. If you click it, nothing happens. To make it a clickable link I would have to actually link it to the original post by clicking the link icon. A clickable link looks like this: http://myheartblogstoyou.blogspot.com/2011/04/quiz-that-changed-my-thinking.html. By clicking the link, you arrive at the intended blog (or in the case of advertisers, the intended web site). In other words, if Blogsvertise asks for a clickable link, don't just copy and paste the link into your blog. Copy and paste it, yes, but also link the url to the actual web site. Blogsvertise also offers "grab bags" from time to time – blog opportunities that were initially offered to other bloggers who ignored or refused to write the blogs. Taking advantage of grab bags is another way to build your reputation with Blogsvertise. In addition to Blogsvertise asking you to come up with your own ideas for blog posts, Blogsvertise occasionally asks you to post blogs written by guest bloggers. Guest post "copy and paste" blogs can be a blessing, because all you have to do is copy and paste the material into your blog, but they can also be nightmares when the guest blogger misspells a word or uses incorrect grammar. You may have to inhale deeply, grit your teeth, and do it anyway if you want to make $10 (or whatever the rate is). If you can't handle a poorly written blog, don't accept it, but explain why you're not accepting it. The advertiser is asking Blogsvertise to post the blog "as is" and the blogger has to decide if posting an "as is" blog would detract from her professionalism or if readers will forgive her because the blog is, after all, a guest post written by somebody else. All in all, Blogsvertise has been a great experience for me, and I highly recommend Blogsvertise to bloggers who hope to make money from writing blogs. If you want to make money from blogging by taking the paid-to-blog route, you probably won't become independently wealthy from Blogsvertise or any other paid-to-blog site, but you will have some extra money in your PayPal account – which brings me to another benefit of writing for Blogsvertise – Blogsvertise ALWAYS pay on time. Without fail, one month after I post a blog, payment appears in my PayPal account. The Blogsvertise site is easy to understand, too, and the staff is friendly, courteous, and helpful. If you would like to blog for Blogsvertise, look to the upper right hand side of this blog under the blog heading. Find the ad that says, "Click Here to Advertise on My Blog!" It will take you directly to Blogsvertise's sign-up page. very helpful contents, great job! Hey WRITERS, Let Me Be Your Tweet Heart!